Our 2005 Fleetwood Excursion motorhome came with a washer/dryer combination, which we never used. 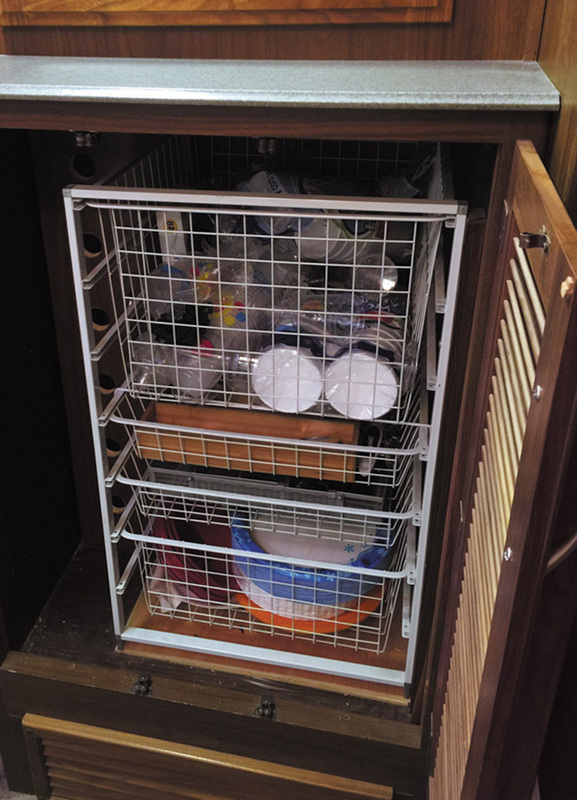 What we needed was more space to store things, such as paper plates, cups, etc. Our solution was to remove the washer/dryer, which we sold, and replace it with a built-in storage rack. Such racks are available at home-improvement stores and come in various sizes. The installation was easy. Another benefit: The net weight reduction was about 100 pounds.